apply now to get the best personal loan interest rates and terms available. With an unsecured personal loan you can get quick access to funds. Check out some of the best online lenders and marketplaces that offer attractive rates and terms. Compare the 5 top personal loan providers that can help you cover the costs of medical surgeries and procedures. A personal loan can help you consolidate debt and provide you with a more secure financial future. Find out all about rates, terms and fees of the best lenders to help you do it. These are the top personal loan companies on the market today. Read on for in-depth details on features, plans, and pricing. For customers who meet the minimum requirements, such as a credit score of 660 and higher, SoFi can facilitate loans with some of the better rates in the industry. In addition to competitive APRs and the option to borrow up to $100,000, SoFi has an “unemployment protection” feature, which allows you to temporarily freeze your repayment schedule, if you lose your job and need a little time to get on your feet. Receiving a loan with SoFi tends to take a little longer than with other companies but after approval, loans are typically provided within a few days and loan terms range from 36 to 84 months. SoFi stands for Social Finance and it began by helping students drowning in debt get loans. While it started as a way to help students, SoFi has fairly high credit requirements, so it’s a better option for people who have a more positive financial history. The company can also provide networking and financial planning assistance, which can come in handy if you’re just getting started. Read the full SoFi review or visit SoFi to take out a loan. LendingTree is a good option for people looking to cover large debts who want the option of comparing offers from multiple lenders. The application process couldn’t be simpler, and within minutes you can start comparing a whole list of lenders. LendingTree is also a good option for people who don’t have great credit in that it doesn’t have an ironclad minimum credit score. It also has some of the most flexible loan terms, so you can even stretch your payments over up to 180 months if that makes it easier to keep up with your monthly expenses, especially when covering larger debts. Now, it should be said that while LendingTree doesn’t have a credit score minimum, typically the higher your credit the better the terms you will receive. Nonetheless, sometimes all we need is a lender willing to take a chance, and with LendingTree you’ve got a reliable to get a loan to help you consolidate debt or cover some other expenses you were having trouble with. Not only that, it should only take a few days to receive your loan. Read the full LendingTree review or visit LendingTree to take out a loan. LendingClub is another P2P lender that can help people with less than ideal credit who may have had the door shut on them elsewhere. The company approves people with credit scores of 600 and even lower, and will let you borrow for up to a 40% debt to income ratio, making it a solid choice if you have fair credit. In addition, once your application is complete you should receive your funds within a few days. When it comes to the actual terms of the loan, LendingClub offers loans of between 36 to 60 months, which is standard for the industry. Where LendingClub really shines is in its ability to offer small loans, from as little as $1,000, meaning that you can use it for covering minor expenses as and when necessary. Read the full LendingClub review or visit LendingClub to take out a loan. What is a Personal Loan and Should You Get One? A personal loan is an amount of money loaned to an individual typically without any collateral. Though they used to be seen as a solution for people in dire financial straits, today the options and terms are better than ever and more and more everyday people are taking out personal loans. A personal loan, also sometimes referred to as a signature loan or an unsecured loan, can be a great idea if you have outstanding credit debt and a less than stellar credit score. If you use the personal loan to pay off the credit card, you can improve your credit score and then pay off the personal loan, which will almost certainly have an easier interest rate than the credit card. Even if you don’t have credit debt, taking out a personal loan and repaying it is a good way to establish positive credit, which will help you down the road when you apply for a car or house loan. If you have multiple outstanding debts - or just one - at a high interest rate that’s taking a real bite out of your paycheck each month, then a personal loan could really help out. Find a lender that can give you a personal loan with a friendlier interest rate, and then use that to pay off the other debts. A personal loan can help you pay for home renovations, which can significantly improve the value of your home. This can really pay off if you’re looking to sell the house in the near future, or if you’d like to increase the value of your home in order to borrow against the equity. Things don’t always go as planned, and sometimes we need a little extra help. A personal loan can help you handle unexpected medical bills, home repairs following a flood or a fire, or a sudden expense like a funeral. When hard times come, having some financial peace of mind can make things a little bit easier, and that’s no small thing. 1. What’s my credit score? Your credit score is calculated based on your loan repayment history, credit card usage, and other financial markers that can give lenders a rough guide of how responsible you are with money and how much of a default risk you are. No matter what your credit score is, you will be able to find a lender that will offer you a loan. Typically, the higher your credit score the more likely you will be to receive loans. Also, because with high credit you are considered less of a risk, your interest rates will tend to be lower. Having no debt history is not a good thing when it comes to your credit score. Most of the leading personal loan companies like to see that you’ve had debts in the past and that you’ve made your payments, and can be trusted to do so again. 2. What if I have bad credit? Many lenders can provide loans even if you have bad credit, though you will face tougher interest rates and less leeway with the loan amount and repayment terms. Typically anything under 630 is considered a bad credit rating, and even when people in this range do get loans, they tend to have a 28.64% APR on average. If you have collateral to put up, this can help you secure better terms despite a low credit rating. In addition, many lenders allow cosigned loans. These are loans where someone with better credit co-signs the loan with you. While this is a way for you to get a loan that you’d be shut out from otherwise, there are some caveats. Mainly, the person who cosigned for the loan is on the hook too so if you default on the payment, it could wreck their credit as well as your own. 3. How do interest rates work? The interest rate is how much the lender charges a borrower for a loan. It is expressed as a percentage of the amount borrowed. For example, if you take out a loan for $10,000 with an interest rate of 5%, you’ll end up paying $10,500 over time. If you get an interest rate of 10% though, you’ll be paying $11,000. If you’re consolidating debt and the interest rate is still lower than your earlier loan, then you’re in good shape. If not, you need to examine if the interest rate makes the loan worthwhile for you. 4. What affects interest rates? Variable vs fixed rate loan - With a variable rate loan, the interest rate can fluctuate as the market changes, and typically has lower interest rates than a fixed loan, which stays at the same rate throughout the repayment of the loan. The length of the repayment - The longer the repayment term the more interest you will pay over the lifetime of the loan. If you can keep up with a higher monthly payment over a er period of time, then you can find loan terms that will save you money on interest. It's crucial though that you first look at your monthly budget and determine how big of a loan you can stay ahead of, so you don’t dip further into debt paying off the new loan. Your credit score - The better your credit the better the interest rate. Lenders will also look at your past financial history to look for any delinquent loans, foreclosures, bankruptcies, and other red lights that could make you a high-risk borrower before they determine the interest to assign you. Your income - or lack thereof - will always be a central factor in determining your interest rate. 5. What is an APR? APR is an acronym for annual percentage rate. It combines the charges, fees, and payments to tell you the grand total of what your loan will cost you per year. The lower the APR, the less you are going to pay in the long run. 6. How much can I get approved for? There isn’t a clear right or wrong answer to this question - it all depends on your needs, your income and your abilities. 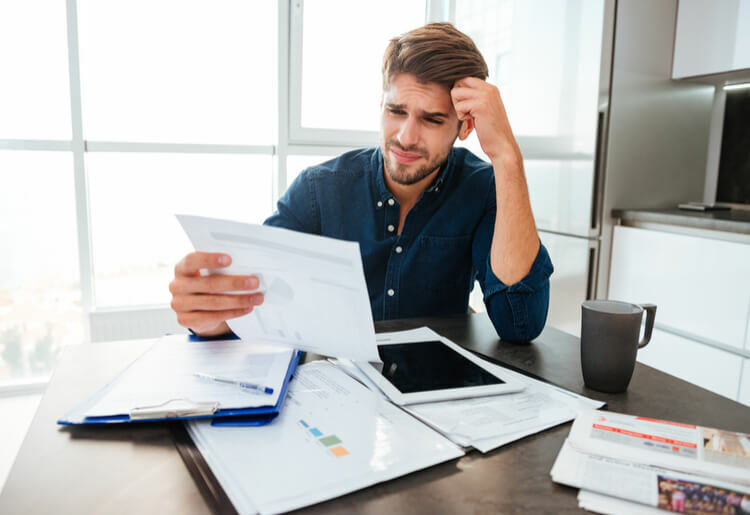 If you’re trying to consolidate debt, your loan should be the same or larger than the outstanding loans you’re covering, and if you need to cover an expense like medical bills or home renovations, then it should meet your needs, so you don’t have to go through the hassle or expense of securing another loan. At the same time, you need to make sure that the payments aren’t too heavy for you to keep up with. After all, there’s no sense taking out a loan to cover another debt, only to find yourself unable to keep up with the payments on the new loan. 7. What loan term should I take? This is a pretty simple calculation, but what works for you can be anything but simple. If you decide to go for a lender that offers short term loans you will have higher monthly payments but will pay less interest over the life of the loan. If you spread it out over a longer loan term, your monthly payments will be lower, but the overall interest you pay will be higher. Paying more interest isn’t a bad idea if it means that you can lock down a monthly payment that you know you can make. The main difference between an unsecured and secured loan is that an unsecured one doesn’t require you to put up any collateral. That’s the good news. The bad news is that because the loan is “unsecured” (no collateral), the lender is taking a bigger risk on you, and typically will assign you a higher interest rate. Lenders will also give you a lower ceiling on the loan, as well as a shorter repayment term. These loans typically appeal to borrowers who don’t have assets like a car or a house, but still want some financial assistance. A secured loan requires the borrower to put up some form of collateral. While it’s more risky for you in that you have to put up an asset that the bank can seize if you default on the debt, you stand to enjoy an easier interest rate, a higher borrowing ceiling, and a longer repayment period. Peer-to-Peer lending has become a major industry in recent years, and provides all types of opportunities for borrowers who may have had less options in the past. Often called “social lending” or “crowd lending,” P2P sidesteps the banks and connects borrowers and lenders directly with one another online. It’s a solid option if you have less than great credit or lack assets to put down as collateral. That said, there are some costs, including origination fees which can range from 0.5% to 5% of the loan. Late fees can also be expensive if you don’t make your payments on time. In addition, as unsecured loans, the interest rates tend to be around 15% or so. With a fixed rate loan the interest rate stays constant throughout the life of the loan, which will help you budget every month and stay on top of your payments. With variable rate loans, the interest rate fluctuates in accordance with the market. You may get a lower initial rate than you would with a fixed rate loan, but because the market can be unpredictable, it can be harder to know for certain what your future payments will be. These are loans that are given as a line of credit that you can use for any purpose. They are typically unsecured, so the interest rates tend to be high, though not as high as a credit card. Also, these loans give you the freedom to draw from the credit line as needed, so you only owe what you spend. These are sometimes called character loans or good faith loans. This is an unsecured loan that only requires you to put down your signature. Because there is no collateral and the lender is taking a risk, these loans come with higher interest. A cash advance is taken against the credit line on your credit card, and typically comes with fees in addition to the interest on repaying the money. With a credit card balance transfer you move the money you owe on one card to another credit card with a lower interest rate. This typically includes a fee. This is just a term to refer to a loan that is repaid over a set period of time with set payments. A mortgage and a car loan are good examples of installment loans. Stage 1: This generally consists of an online questionnaire where you are asked to provide information including the amount of the loan, the purpose of the loan, and your personal information. You will also probably be asked to provide your income level and housing status. Stage 2: This involves a soft credit pull, which won’t affect your credit rating like a hard credit pull. Based on the credit score and other details you provided the lender, they will determine how much to loan you and under what terms and interest rate. Stage 3: Once your application has been pre-approved, most online lenders will then put you directly in touch with the lender, and you will finish applying directly with them. You should have all relevant paperwork on hand and ready to send, including your driver’s license or passport, proof of residence (utility bills, rent contract, etc), and pay stubs from your place of work. This is a company that directly loans money to borrowers and doesn’t merely facilitate lending between lenders and borrowers. These are companies that don’t lend out money themselves, rather, they facilitate loans between borrowers and lenders, by creating an online marketplace where borrowers can apply to all types of lenders at the same time, typically with one simple application. These are private lenders who are not part of a bank or other financial institution. These are private individuals who loan money, and often with interest rates and other terms that are not as good as those with more established lenders. Peer-to-peer (P2P) lenders refers to private lenders and borrowers which are connected to one another online. P2P lending is a way for lenders to invest some money in small-scale loans, typically spread out across a large number of borrowers in order to offset the default risk. For borrowers without collateral who have less than ideal credit, these can be a great option, despite the origination fees and often high interest rates. This is the most traditional, tried-and-tested way to attain a loan. That said, banks tend to be more cautious, and if you’re credit isn’t in good shape, or you don’t have any collateral, you might have real trouble finding a loan through a bank. Most of the best lenders allow cosigner loans - including LendingClub, LightStream, and Freedom Plus, among others. Find one that allows co signers with your level of credit, and get an idea of what type of fees or other terms they require, and then look for a cosigner. True, money and loved ones don’t always mix, but sometimes you have to count on the people close to you for help. Your cosigner will have to be someone with better credit than you, but also ideally, with some good collateral to put up. If the person has a spotless financial record, it could really help you get a loan with good terms. That said, you need to keep in mind that if you default, it will also affect the financial record of your cosigner. Make sure it’s someone who won’t hold this over you, and who you can work with to pay off the debt. Read here to find out more about attaining a loan with a cosigner. This may go without saying, but don’t settle on the first lender you find. Make sure to cast a wide net and really invest your time in reading online reviews and comparing the best personal loan companies so you can get the most competitive rates and save money in the long run. If the terms the company is offering you aren’t to your liking, feel free to look elsewhere and remember - you're the customer, they’re looking for your business, and are likely to try to meet you in the middle. Does the lender have a good reputation? Do you find a high number of complaints online? What about customer service, are they responsive? Make sure to take a long look at the company’s pedigree to see if they are legitimate, how long they’ve been in business and whether or not they’ve built a good reputation with their clients. The cost of your loan isn’t merely a matter of the interest or how much you took out - there are also often origination fees at the start of the loan, as well as late fees, processing fees, and the like. Make sure that the fees are not going to be too much of a burden, and add it to your list of considerations. In order to choose the best personal loan provider for you, you must first determine what your needs are as a borrower, compare lenders and then see which one can fulfill those needs at the best rate possible. Maximum Loan Amount: Some online loan providers offer loans up to $20,000, while others will offer loans as high as $100,000. APR: Different lenders will give you differing APRs so it’s important to find rates that you know you will be able to keep up with. Loan Term: These vary from months to years, so it is advisable to check with your lender when your loan must be paid off. Qualifications: Some lenders will require you to have an excellent credit score in order to get a loan, while others will be more forgiving. You may be required to provide proof of employment or income as well. It is advisable not to waste your time applying for a loan before you check the lender’s basic requirements. Simplicity and Speed: A major advantage that online lenders have over banks is that they generally cut out a lot of the bureaucracy from the process. This means an easier and quicker process for the borrower. Some lenders can transfer funds to you in as a little as a few days. * Your loan terms, including APR, may differ based on loan purpose, amount, term length, and your credit profile. Rate is quoted with AutoPay discount. AutoPay discount is only available prior to loan funding. Rates without AutoPay may be higher. If your application is approved, your credit profile will determine whether your loan will be unsecured or secured. Subject to credit approval. Conditions and limitations apply. Advertised rates and terms are subject to change without notice. Payment example: Monthly payments for a $10,000 loan at 5.74% APR with a term of 3 years would result in 36 monthly payments of $303.04. For NY residents, rates range from 5.99% to 24.99% APR. Only the most creditworthy applications qualify for the largest loan amounts and lowest rates. Your loan terms are not guaranteed and are subject to our verification of your identity and credit information. To obtain a loan, you must submit additional documentation including an application that may affect your credit score. Rates will vary based on many factors, such as your creditworthiness (for example, credit score and credit history) and the length of your loan (for example, rates for 36 month loans are generally lower than rates for 72 month loans). Your maximum loan amount may vary depending on your loan purpose, income and creditworthiness. Your verifiable income must support your ability to repay your loan. Marcus by Goldman Sachs is a brand of Goldman Sachs Bank USA and all loans are issued by Goldman Sachs Bank USA, Salt Lake City Branch. Applications are subject to additional terms and conditions. We’re so confident in the personal loan rates you’ll find on Credible, we’ll give you $200 if you find and close with a better rate elsewhere. See full terms and conditions.